American Riviera Bank reported a 17 percent decrease in unaudited net income in 2015 as the institution prepared for its merger with The Bank of Santa Barbara. American Riviera acquired The Bank of Santa Barbara in an all-stock deal valued close to $18 million, creating a “force to be reckoned with,” said Joanne Funari, the new bank’s executive vice president and chief operating officer. The merger was finalized on Jan. 1. Excluding merging costs, unaudited net income was up 18 percent to $3.022 million in 2015, up from $2.569 million the previous year. Taking into account the cost of the deal, unaudited net income decreased to $1.303 million in 2015, or 48 cents per share, down from $1.569 million, or 59 cents per share in 2014. The bank released its fourth-quarter earnings report on Jan. 28. The bank had strong loan and deposits growth in 2015. Total loans reached $212 million on Dec. 31, a 28 percent increase from the previous year. Total deposits reached $219 million at the year’s end while average deposits increased 17 percent year-over-year. The merger created a three-branch community bank with assets of more than $400 million. That nearly doubled American Riviera’s assets and increased its footprint with the Bank of Santa Barbara’s Goleta location. It also vastly increased lending capacity and allowed the institutions to spread regulatory costs over a wider asset base. American Riviera issued more than 1.5 million shares of new stock valued at more than $17.9 million to acquire the shares of The Bank of Santa Barbara. That is a 24 percent premium over The Bank of Santa Barbara’s book value. Shares were trading at $9.70 when the deal was announced in July; they closed at $11.30 per share when the merger went through. 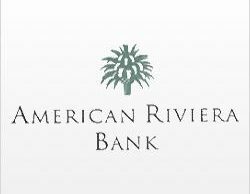 With about 4.2 million outstanding shares after the merger, the market capitalization of American Riviera Bank was more than $47 million at the close of the merger. 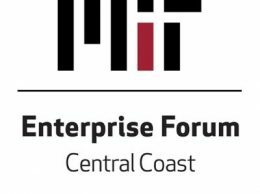 “We will be a force to be reckoned with,” said Funari, who previously was the Bank of Santa Barbara’s COO, told the Business Times. The tax-free deal is a way for shareholders to bet that a bigger combined bank would yield better returns than staying solo. 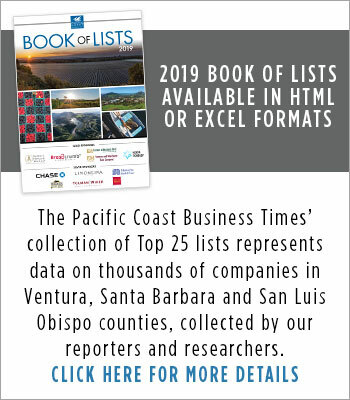 “Bank of Santa Barbara shareholders can roll into the American Riviera stock and don’t have to sell and don’t have the tax consequences at this point,” Jeff DeVine, the head of the combined company, told the Business Times. For the smaller community banks, it made sense to combine their downtown Santa Barbara location. 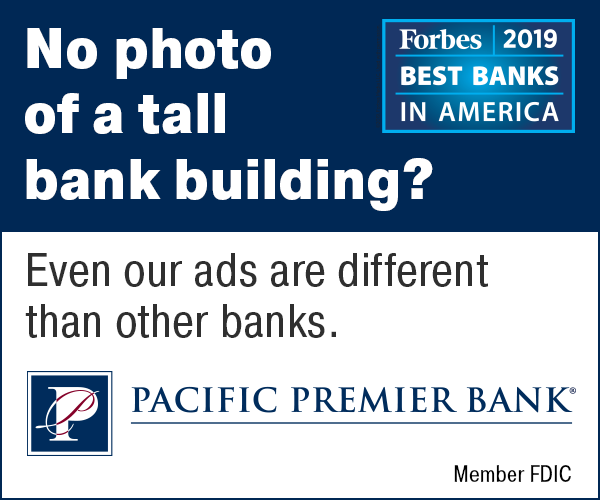 The Bank of Santa Barbara branch at 12 E. Figueroa St. was consolidated into the American Riviera Bank headquarters at 1033 Anacapa St. DeVine said 10 workers were displaced in the process, but there will be opportunities to hire additional staff. American Riviera also had a Montecito location. Prior to the merger, the banks employed nearly 80 full-time staff. The merged company will have more products to offer with the Bank of Santa Barbara’s SBA lending program and American Riviera’s mortgage lending service. For tri-county financial institutions, 2015 was a year marked by banks streamlining growth through mergers and acquisitions rather than organically building loan base and raising capital. Larger banks have increasingly replaced smaller institutions throughout the Tri-Counties. The region is armed with more lending capital but borrowers have fewer branches and options to choose from. All the while, credit unions, crowdfunding and peer-to-peer lending are expanding. The combination of slow-growth politics in the Tri-Counties and tedious new regulations means that mergers are the handiest tool to bolster lending capacity and efficiencies. Smaller banks can spread higher costs over a bigger asset base while larger banks can expand their footprint. The proposed merger between Citizens Business Bank and County Commerce Bank is expected to go through in February. American Riviera was the larger of the two institutions that had excess capital and low loan loss reserve. The Bank of Santa Barbara was constrained by minimal excess reserves. The company could have raised additional capital but focused on the merger instead, DeVine said. “Raising capital was another course of action The Bank of Santa Barbara was exploring but the merger came around and was a better option than growing organically,” he said. The combined bank will have an estimated legal lending limit of $10 million, a Tier 1 capital ratio of around 9 percent and risk based capital ratio of about 12 percent. If the merged company, which retained the American Riviera Bank name, uses the merger as a template to acquire another smaller institution in the region, it could be poised to fill the void left by Santa Barbara Bank & Trust. For now, its focus is on the customers, DeVine said, the expansion will come later. “If we do our job integrating our two banks together and serving customers, we can grow really fast. 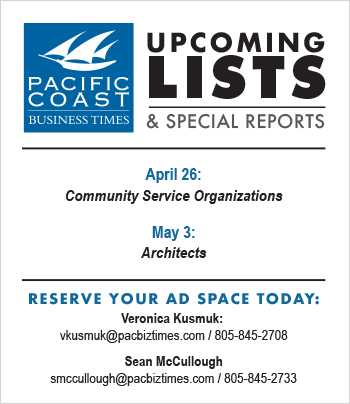 We have an opportunity to be the up-and-coming community bank in Santa Barbara,” he said. American Riviera stock closed at $11.10 on Jan. 29.